Niki Tudge – Founder & President The DogSmith, The Pet Professional Guild, DogNostics Career Center & President Doggone safe. Niki was born and raised in England but now lives in Florida. Her background is in the corporate world and managing hotels which have seen her travel the world & work in places such as Nigeria and South Africa. Whilst working in these roles Niki always found ways to help rehabilitate abandoned and abused animals and cooperated with organizations like fauna & flora international to protect endangered species from poaching and then helping those animals transition back into their natural habitat. Though her work with African Native Animals was fulfilling Niki’s first love was always the family pet dog. And upon moving to the united states Niki started setting up projects to help spread the word about the benefits of force-free training, starting ventures such as the Dog Smith – a dog training and pet care business and DogNostics Career College – an online educational forum for pet industry professionals. As choices of training methods increased, Niki found availability of quick-fix gimmicks popularized by TV grew and misleading ‘entertainment-based’ training techniques became generally accepted, Niki found that it was more and more confusing for the pet owner to understand and differentiate the true foundation and efficacy of dog training and pet care methods and philosophies available. Because of this, Niki saw a need for a new member forum where pet professionals committed to force-free training methods could gather to support each other and provide a resource to the pet-owning public. The Pet Professional Guild (the Guild) is Niki’s answer to this need. 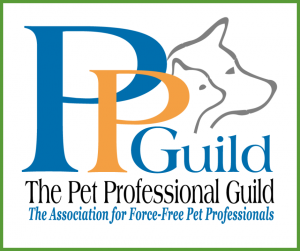 The Guild is dedicated to servicing force-free Pet Professionals and the pet-owning public who want to be confident that the resources they choose to adhere to a consistent training and business philosophy and ethics.